By now, we are all familiar with the term, identity theft – the fraudulent use of a person’s private information for financial gain. A crime where a fraudster obtains your personal information such as social security and driver’s license numbers and uses them for their personal financial gain. It can start with a lost/stolen wallet, stolen mail, a data breach, computer virus, or “phishing” scam. And ends with victims spending a lot of time and possibly money trying to prove their innocence. While there is no surefire way to avoid identity theft, you do want to be alert for evidence of Identify theft. Catching it early will help stop it early. More that one tax return was filed in your name. Your E-file was rejected because the IRS says you already filed one when you did not. You have a balance due, refund or collection action in a year you did not file or fully pay. You were the victim of employment related identity theft. A company you never heard of reported wages to the IRS. A company you did not work for sent you a W-2 or 1099. Your notice from Social Security shows more income than you earned. Your Social Security benefits were adjusted or denied because of wages that you did not earn. Have your CPA respond to the “person to contact” on an IRS notice. If you do not have an IRS notice but suspect Identity Theft, call the IRS at 800-908-4490. Fill out form 14039 Identity Theft Affidavit or have your CPA help you. This alerts the IRS to suspected theft on your account. If the IRS knows that thieves used your tax return, they will issue you a PIN number to be used on future returns as additional security against future thievery. If you have specific information about a business that used your personal data in some unauthorized manner, file a complaint with the Federal Trade Commission (FTC) . If you receive a form W-2 from an unknown employer or wages reported to Social Security you know are wrong, call them at 877-438-4338. Contact your banks and other financial institutions including credit companies, and close any and all accounts that might be compromised by thieves. You might just want to go ahead and renumber all accounts, even if they have yet to be compromised. Question the legal requirement to provide your SSN to non-tax agencies. Ask to use alternative means. Never let your credit card out of sight. On the back of your credit/debit card, instead of signing it, put “ask for identification”. Your employer, bank or financial institutions are the only ones that really need your SSN. Question all others. Review your credit report annually. You can order one free annual credit report per year at: annualcreditreport.com or by calling (877) 322-8228. Stay informed. 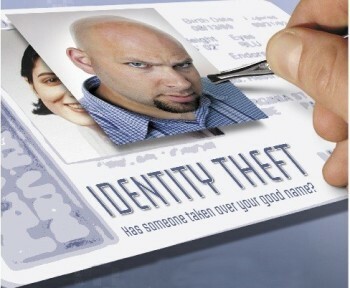 There is a wealth of information out there on protecting yourself from identity theft. Do you find yourself worrying about getting audited by the IRS? You’re not alone. Many people worry about getting audited, but most never do. In fact, last year the IRS audited less than 1% of all taxpayers. 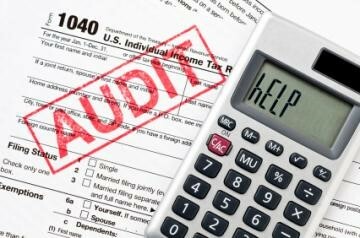 Since there are fewer auditors, there are fewer audits. 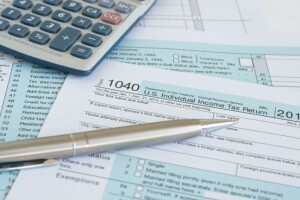 So you’re chances of getting audited are pretty slim considering the IRS is so short-handed. To prepare yourself for next year’s income tax deadline, we’ve created 13 simple steps to follow that will help keep you under the IRS’s radar. File on time, every year, including extensions. NOTE: extensions DO NOT extend the time to pay. Pay on time. If you’re filing an extension, you need to pay the full amount by April 15th. If you don’t know the amount, guess and guess high because there is up to a 25% penalty late payment penalty. Make sure your withholdings are correct. Use form W-4 for this. If you make estimated payments, and you think your income will go up, pay 112% of last year’s liability. This is the so-called “safe-harbor”. Have all your 1099’s, W-2’s and other forms from third parties (these forms are supposed to be in your hands by January 31). The IRS knows about them and will computer crosscheck your return. Verify that the right numbers are in the right place on your return. Most people filing their own returns get tripped up on this step. If you’re using a CPA, they’ll make sure this is done. Check full names, date of birth and social security numbers for you, your spouse and all children before signing the 8879 for e-filing or mailing the return. The IRS can now crosscheck with Social Security filings. If you get married or otherwise change your name, make sure Social Security knows about it. If you have student-dependents, make sure they don’t file on their own before you claim them. They probably like the idea of filing their own tax return to get a refund, but this may not be your best option. Talk to them. If you plan on making estimated payments, confirm you entered them correctly on the return. This is especially important if your payment amount varies. If you move, let the IRS know by filling out form 8812. The reason: If you get a notice from them, you’ll have ample time to respond. Not responding on time can cause enormous grief, penalties, interest and unnecessary tax. And if you don’t respond, the IRS will file a “Notice of Deficiency” which is an assessed tax — usually for taxes you don’t owe. The only way to get that removed (other than to pay it) is to file a petition in tax court. So you don’t want to risk all this over a missed notice. Compare last year’s numbers to this year (that’s what the IRS does) and look for variances that are out of whack. If you get a notice about anything from the IRS or State Revenue, contact your CPA right away. They’ll review it, research it and tell you what to do. DO NOT ignore IRS/state notices thinking they’ll go away. They won’t. Haven’t filed in a while and/or lost your records? Did you receive a notice from the IRS? Call your CPA before doing anything. With a POA (Power of Attorney) and a few hours time, they can find out what the IRS knows about you. Usually the problem can be resolved easily.